Similar species: Ulmus effusa, Ulmus americana, Ulmus alata. Plant description: Slippery Elm is a medium to large deciduous tree from 6 to 24 meters in height, with rough irregular brownish bark on the main trunk that becomes whitish on the branches. The outer bark contains a thick,soft cambium layer,yellowish and very mucilaginous, lying over top a reddish-colored wood. The leaves are 10 to 15 cm long, 5 to 8 centimeters broad, obovate-oblong and conspicuously acuminate, doubly serrated, the leaf surface dry and rough above and soft and downy below. The leaf buds woolly and rust colored. The flowers are sessile, found in dense, lateral clusters, appearing before the leaves in the spring. The fruit is a spherical samara (winged fruit) containing single round seed. Habitat, ecology and distribution: Slippery Elm is native to and widely distributed in the deciduous forests of North America, extending from southwestern Maine, westward into southern Quebec and Ontario, across to North Dakota, and southward into central Texas and northwestern Florida. It is most abundant in the Great Lakes region and in the Midwest. It prefers low elevations,in moist soils, and is an important colonizing pioneer species after forest fire. Many of the various species of Elm however, including Slippery Elm, have succumbed to Dutch Elm disease, a fatal fungal infection carried by the larvae of a bark beetle. Part used: ground inner bark. History: Colby states that surgeons during the U.S. War of Independence relied upon it as a dressing to gunshot wounds, which brought the wound to suppuration and promoted healing (1846). Constituents: Slippery Elm is noted for its mucilage, which is a combination of small and long-chain polysaccharides including hexoses, pentoses,methylpentoses, and polyuronides. Upon hydrolysis these carbohydrates yield galactose, glucose, fructose, galacturonic acid,l-rhamnose and d-galactose.Slippery Elm also contains tannins (3-6.5%), phytosterols (beta-sitosterol, citrostadienol, dolichol), sesquiterpenes, calcium oxalate and cholesterol (Newall 1996, 248). 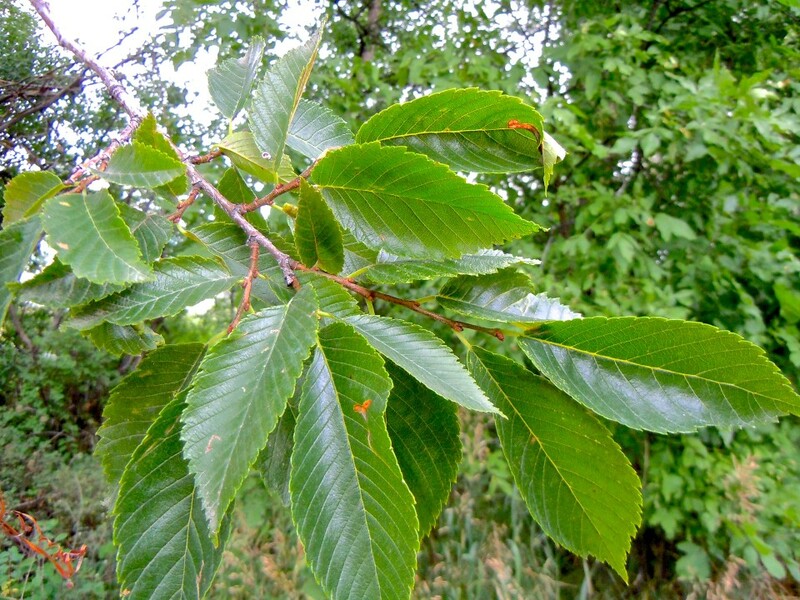 Due to the problem of Dutch Elm disease pure Slippery Elm has become increasingly difficult to obtain and in many cases is adulterated with starches such as rice flour. • Antioxidant: The efficacy of Slippery Elm bark was investigated in a xanthine/xanthine oxidase cell-free oxidant-generating system, and in mucosal biopsies of patients with active ulcerative colitis.Using chemiluminescence, Slippery Elm was found to reduce superoxide and peroxyl radical generation in the cell-free system and in mucosal biopsies, in a dose dependent manner. The effects were comparable with aminosalicylates (5-ASA) (Langmead et al 2002).Among 28 herbs screened, Slippery Elm was determined to have a moderately high scavenging activity against peroxynitrite, a free radical with strong oxidizing properties toward sulphydryls, lipids,amino acids and nucleotides, which can cause cell death, lipid peroxidation, and promote cancer and aging (Choi et al 2002). A methanol extract of the bark of the Korean medicinal herb Ulmus davidiana Planch (Ulmaceae) was investigated to determine its effects upon the expression of inducible NO synthase (iNOS) in thioglycollate-elicited murine peritoneal macrophages and murine macrophage cell line, RAW264.7 cells. Stimulation of the peritoneal macrophages and RAW264.7 cells with interferon-gamma (IFN-gamma) and lipopolysaccharide (LPS) resulted in increased production of NO in the medium. The butanol fraction of the methyl alcohol extract of U. davidiana bark showed marked inhibition of NO synthesis in a dose-dependent manner,decreasing the amount of iNOS protein and reducing NO-induced apoptotic cell death (Jun et al 1998). • Antimicrobial: The efficacy of Ulmus macrocarpa was assessed as an alternative to antibiotics in the treatment of poultry infected by coccidiosis, the sporozoan protozoan that infects the gut. One day old broiler chicks were infected with Eimeria tenellaand administered various herbal extracts. Survival rates, lesion scores, body weight gains, bloody diarrhea, and oocysts excretions were investigated at the first and the second week after infection.Survival rates in the groups treated with Ulmus macrocarpa (100%) were higher than that of the infected control group (70%), and similarly, lesion scores in groups treated with U.macrocarpa (1.40+/-1.14) were significantly lower than those of the infected control group (3.00+/-1.10). U. macrocarpa was also shown to be effective in reducing bloody diarrhea and oocyst formation, and increasing body weight (Youn and Noh 2001). A sesquiterpenoid identified as mansonone isolated from the Ulmus davidiana var.japonica demonstrated an antibiotic activity against methicillin-resistant staphylococcus aureus (MSRA) comparable to that of vancomycin, in vitro (Shin et al 2000). • Neuroprotective: Five novel triterpene esters derived from the stem and root bark of Ulmus davidiana var.japonica displayed neuroprotective activities against glutamate-induced neurotoxicity in primary cultures of rat cortical cells (Lee and Kim 2001). Contraindications and cautions: Felter and Lloyd state that care must be taken in the use of Slippery Elm as a poultice for ulcerations of the limbs, which if applied regularly may result in the ulcer becoming almost intractable (1893). This is because the poultice seals off the wound and provides a suitable environmental for bacterial growth. Astringent and antimicrobial remedies should be used instead or in combination with Slippery Elm to promote wound healing in such cases. Medicinal uses: Slippery Elm is of prime importance in the treatment of mucosal inflammations of the lungs, stomach, bowels, bladder, and kidneys, drunk in generous amounts as a cold infusion. Warm infusions typically destroy the qualities of the mucilage, and alcohol extracts precipitate the polysaccharides and render the final preparation more or less inert. Slippery Elm has a pleasantly bland taste that makes it an agreeable remedy, and is an especially important remedy in active Crohn’s, colitis and other forms of bowel irritability and inflammation. Felter and Lloyd state that for these purposes, as well as for hemorrhoids, Ulmus may also be prepared as an infusion and injected rectally. In gastrointestinal candidiasis however, Slippery Elm should be combined with other agents to restore the bowel ecology (e.g. Berberis, Echinacea), as by itself its nutritive properties and carbohydrate content could facilitate Candida growth. In the treatment of urinary or respiratory tract infections Ulmus may taken concurrently along with antimicrobial agents (e.g. Chimaphila, Echinacea), but is best taken by itself as an infusion, drunk freely throughout the day, or in combination with other herbal powders. As an emollient Slippery Elm has long been valued for its efficacy in skin eruptions, “especially in obstinate cases of herpetic and syphilitic eruptions… possesses(ing) more efficient virtues than are commonly supposed” (Felter and Lloyd 1893). The powder can be sprinkled on the surface of the body and is said to prevent and heal peeled and chafed skin, and helps to relieve the itching and inflammation of skin infections. Similarly the powdered bark is a useful poultice when mixed with a little water in the treatment of suppurating tumors, fresh wounds, burns, scalds, bruises, and ulcers. As a poultice it is said to be of exceptional value in pain of the testes that can accompany mumps, changed every 4 hours. As a nutritive agent in cachexia, convalescence or weaning infants, about a tablespoonful can be gently boiled in 500 mL of organic milk. Felter and Lloyd state that this “…affords a nourishing diet for infants weaned from the breast, preventing the bowel complaints to which they are subject, and rendering them fat and healthy” (1893). Felter and Lloyd also mention that it may be consumed as a cold infusion after the seventh month of pregnancy on a daily basis to facilitate an easy delivery (1893). As a demulcent powder Slippery Elm is often combined with more stimulating herbs such as Capsicum, Zingiber or Lobelia to prevent any irritation these remedies might cause. Slippery is also a useful excipient used in the manufacture of pills, troches or suppositories, or as a base for a poultice with other ingredients.Cook states that it may even be used instead of gum arabic in the preparation of emulsions. • Cold Infusion: 1:20 500 mL – 1 liter daily.